The next breakfast is scheduled and the event is open to ALL local Hams. It will be Saturday, January 26th 10th, 2019 at 8:00 am. This is a great chance to meet up with some of the folks you talk to on the air, but possibly have never met in person. Come on all you drive time radio jockeys, "6M QCWA Netters", 220mhz NET, CNY SWAP and Hobby Net check-ins - we hope to see you all there. See: https://goo.gl/maps/wGtr5WHoEJG2 for a map. The Winter Skywarn class will train you to become an official National Weather Service SKYWARN spotter, learn all about winter weather including coastal snowstorms, lake effect snow, blizzards and ice storms. If you are interested in weather this is the class for you. 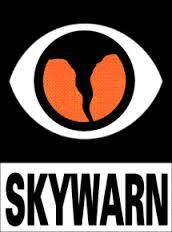 If you are already a spotter, we recommend taking a skywarn class every 3 years. Attached is a flyer with more information on the winter skywarn class. Please join us! 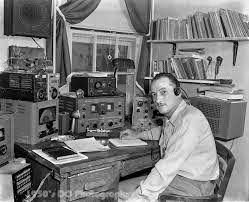 RRRA (Rochester Radio Repeater Association) will be giving a "How to Become a Volunteer Examiner (VE) at their October 19th meeting at Pittsford Town Hall, 10 S.Main St. Pittsford, NY at 7:30 PM. All are welcome. We're getting close........the NYQSO Party is this Saturday. 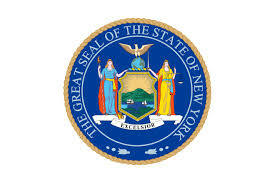 Please upload your NYQP plans...please activate your county or one close to you. Please ask your friends to get on the air on Saturday. The spotlight will be on NY this Saturday from 10am-10pm eastern time. Exchange is: Signal Report and County Abbreviation for in-state and Signal Report and state, province, DX for out-of-state. NYQP has the best Sponsorship Team in the game. When you see one of the sponsors, please tell them thank you. Without them, a healthy NYQP could not exist. 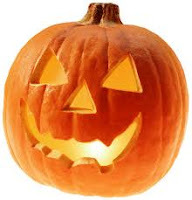 The Pumpkin Patrol will take place on Tuesday and Wednesday October 30-31st for Bridges on the New York State Thruway. This event contributes to the safety of travelers on the New York State Thruway. 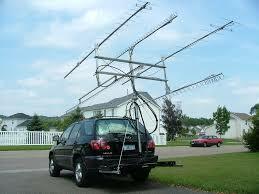 It is a statewide event and is held in cooperation with the New York State Troopers and Amateur radio groups. The Pumpkin Patrol was initiated as a volunteer effort in 1976 by Katherine St. Jacques in Fort Johnson, Montgomery County. Ms. St. Jacques was talking to a truck driver on her citizens band radio when the windshield of his vehicle was struck by an object thrown from an overpass. The driver sustained injuries from the broken glass of his windshield. St. Jacques and two companions decided to stand watch on the three over passes that crossed the Thruway in the Fort Johnson area. The State Police assumed control of the Pumpkin Patrol in 1990 as part of the State Police crime prevention effort. More than 300 volunteers will participate in this year’s safety efforts.